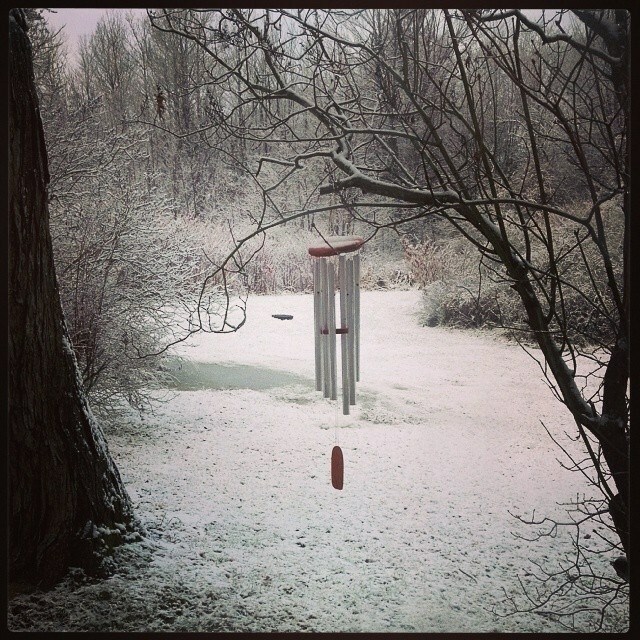 … And then it freezes again because it was just a freak February thaw. To tap trees, you need a spile. This is a spile. I just like the word spile, so I try to work it into as many sentences as possible. We got a Tap my Trees Spile Kit, which includes four spiles and four hooks. So far we have used one. It works great. 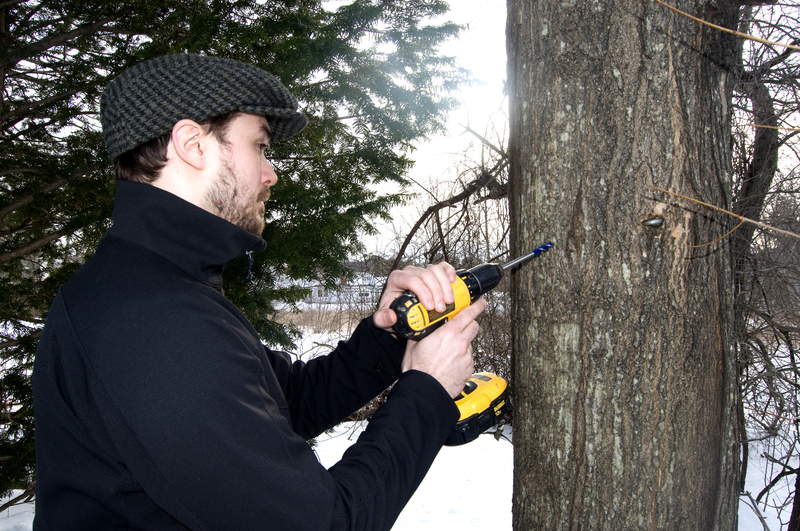 You need a 7/16th-inch drill bit to drill into the trunk of a sugar maple tree. 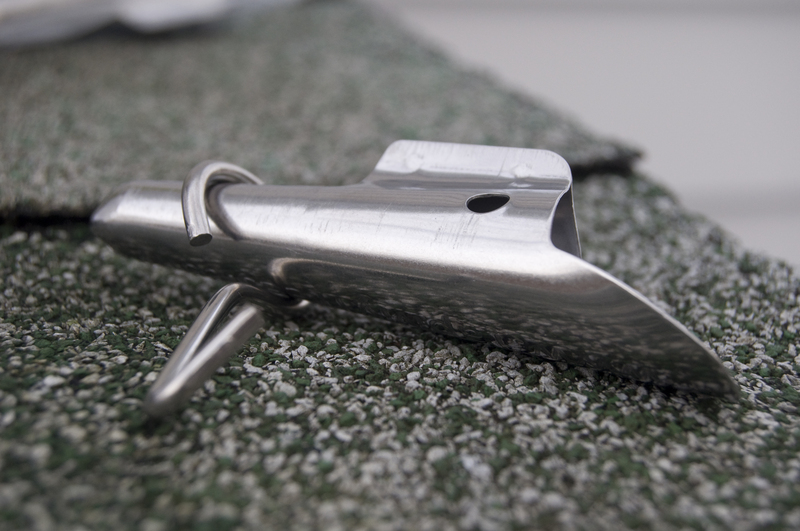 Drill at an upward angle so that when you insert the spile, the sap flows down. Make sure you clean out the hole before you insert the spile, then hammer the spile securely into the hole immediately. The sap began running the minute we took the drill away from the tree! 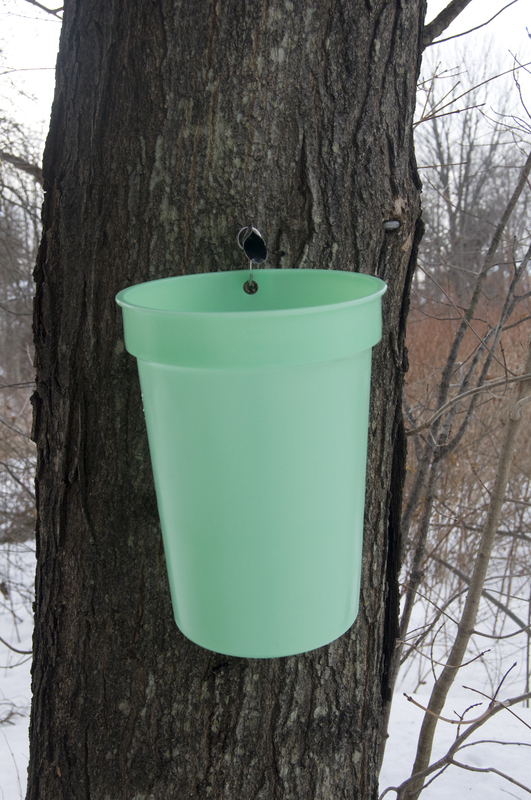 Fix the hook on the tree side of the spile and place the sap-collecting bag or bucket onto the hook. This is a two-gallon bucket. 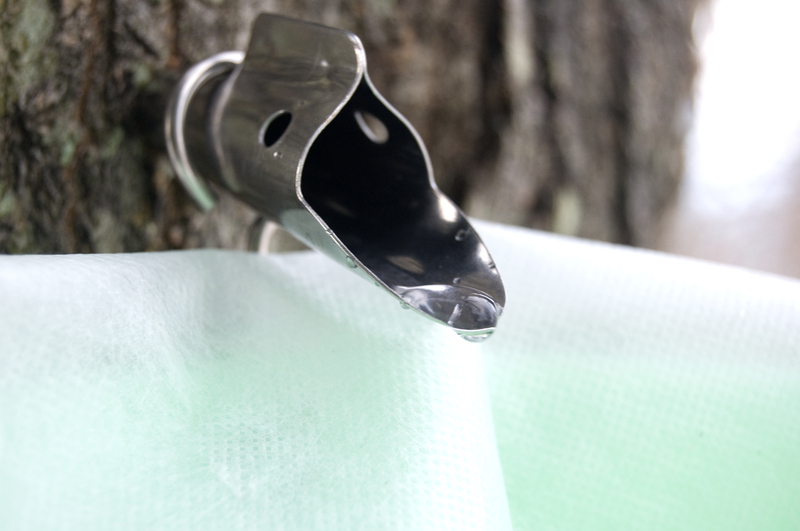 There are bucket covers available to prevent debris from falling into the sap, but we eventually just placed a couple layers of cheese cloth over the top of the bucket and secured it with rubber bands—a simpler and less costly solution. As far as the gardens go, we have decided on raised beds so we have more control over the soil. We are going for a 100-percent organic garden. However, with no finished compost ready for this growing season, we are going with seaweed from the local rockbound coast of Maine. I am not sure if that is certified organic. 🙂 That’s another thing we can start doing now: gathering seaweed and drying it in the basement. Our basement is going to smell like dead fish. I can’t wait. We are also ordering our seeds now from Johnny’s this month. So far we have agreed on tomatoes, green beans, broccoli, squash, cucumbers (my son’s preferred green vegetable), carrots, potatoes and beets. I have begun experimenting with canning vegetables we’ve gotten through our co-op in hopes of preserving our own vegetables for consumption through the winter months next year. I’ll post about the process when we have our own food to can! There are other things in the works, but this is what I’m most excited about today! Also, this font is called Puritan. Ha. Hello there! Welcome to our back-to-the-yard blog. 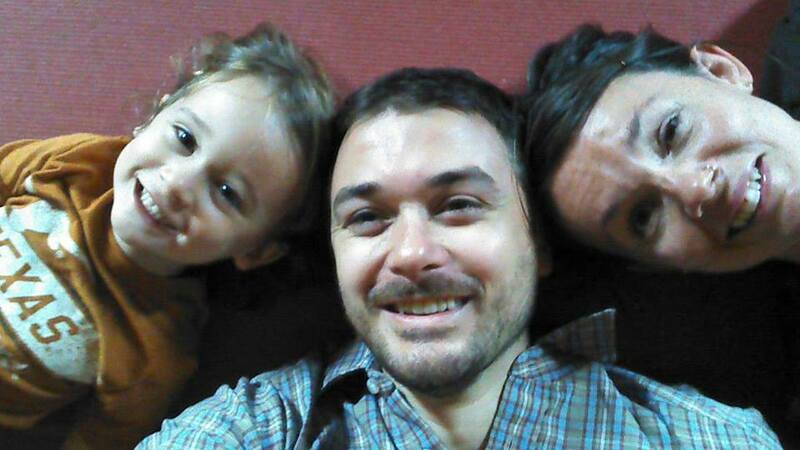 We are Skye, Nate and Alistair, a small family living in the small city of Portland, Maine, on our small plot of land. So why not back to the land then? Because our land is just about 1/5th of an acre. It’s not land. It’s a yard. It’s a small yard. We know we’re not sitting on rolling acres of farmland here, but we are going to make the most of what we have. 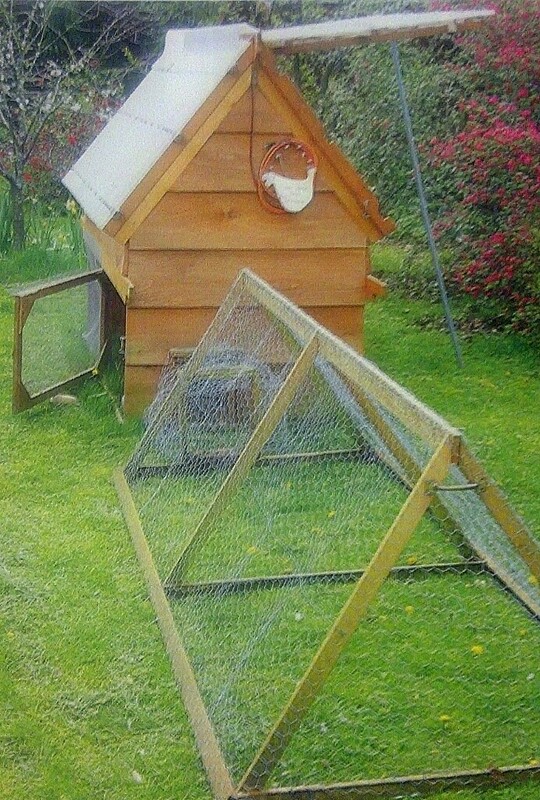 Please enjoy our journey into urban gardening and homesteading as we attempt to grow our own food and eat it for the whole year, raise animals, make some of our own toiletries, and maybe even our own clothes. We’ll see how it goes. I expect a lot of trial and error, some what not to do, and a few recipes along the way. Again, welcome to our yard.